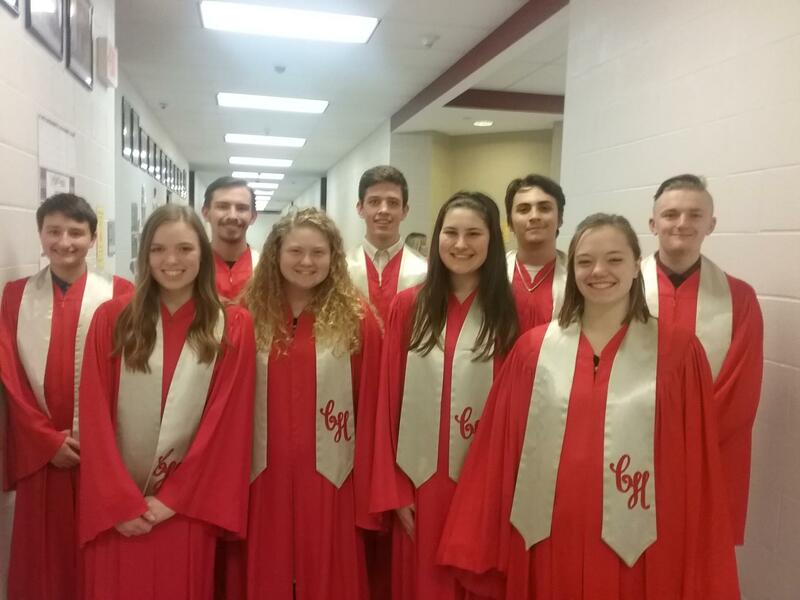 The CVC Honors Choir festival was held November 16 and 19 at Harvey High School in Painesville. Representing CHS were: Tommy Wilson, Meghan Bowden, Evan Sinarski, Bebe Menkhaus, Luke Hopkins, Nicolette Krocker, Jimmy Revay, Molly Cecil, and Kyle Novak. The students was Dress rehearsed on Friday and Monday, and presented a concert Monday night. Choir members from nine CVC schools made up the 90 voice ensemble. This year's guest conductor was Dr Marie Bucoy-Calavan from the University of Akron.